Made in the USA. Long lasting and washable. Safe, non-toxic and hypo-allergenic. 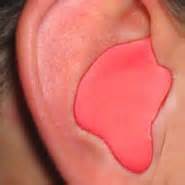 Molds to ear in 10 minutes. Simple and easy to follow instructions. Environmentally friendly.